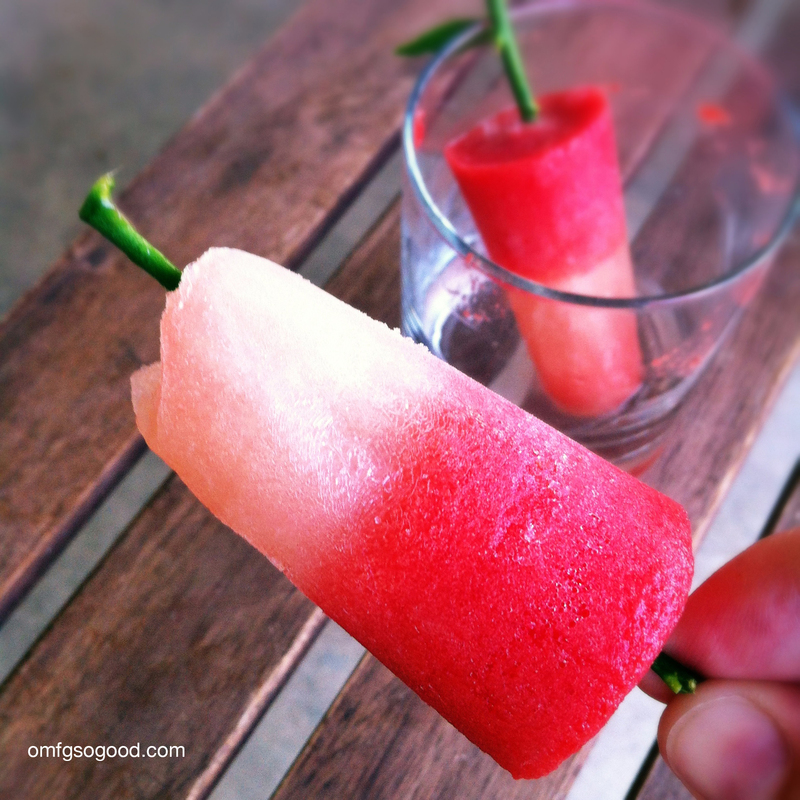 watermelon margarita popsicles | omfg. so good. Eat, drink and be merry… all in one cool little treat. 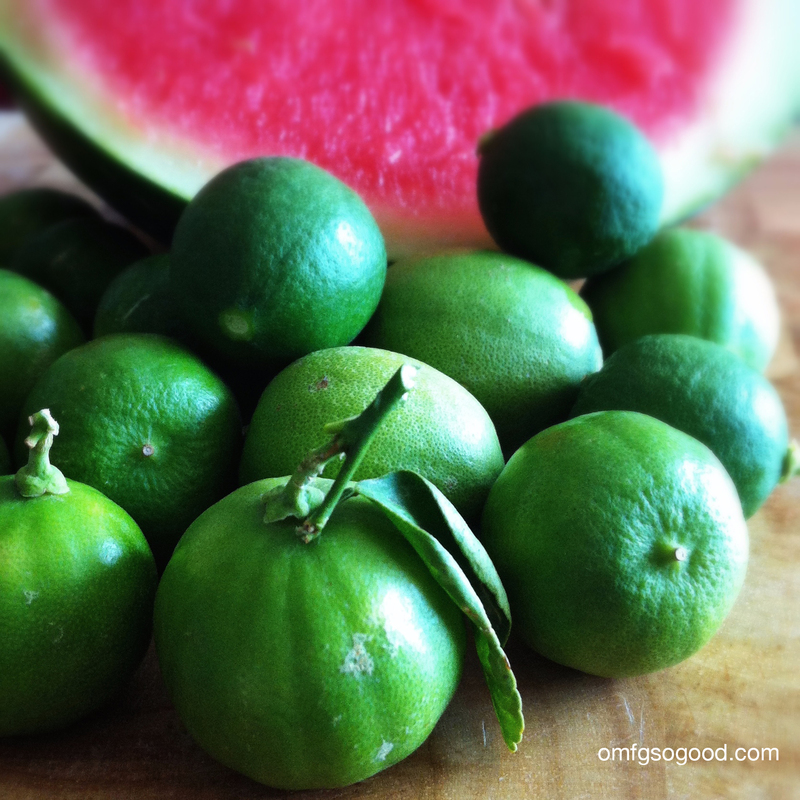 We have a cute little Mexican Lime tree in our backyard that supplies us with an abundance of teeny, tiny little limes throughout the summer. They’re a tad bit too small to provide enough juice for baking, but they sure do come in handy when we get thirsty. This weekend Baby Daddy gave the tree a much needed trimming which left us with an inventory of both limes and branches on the back patio. Small branch trimmings = perfect popsicle sticks. And, since he already had his gardening gloves on, he didn’t mind trimming a few for me and clipping off the nasty little thorns. Isn’t he sweet? In return I made him some Watermelon Margarita Popsicles. Aren’t I sweet? Throw everything into the blender and puree to liquid consistency. Pour into popsicle molds and insert sticks. Freeze for 2 – 3 hours or until solid. 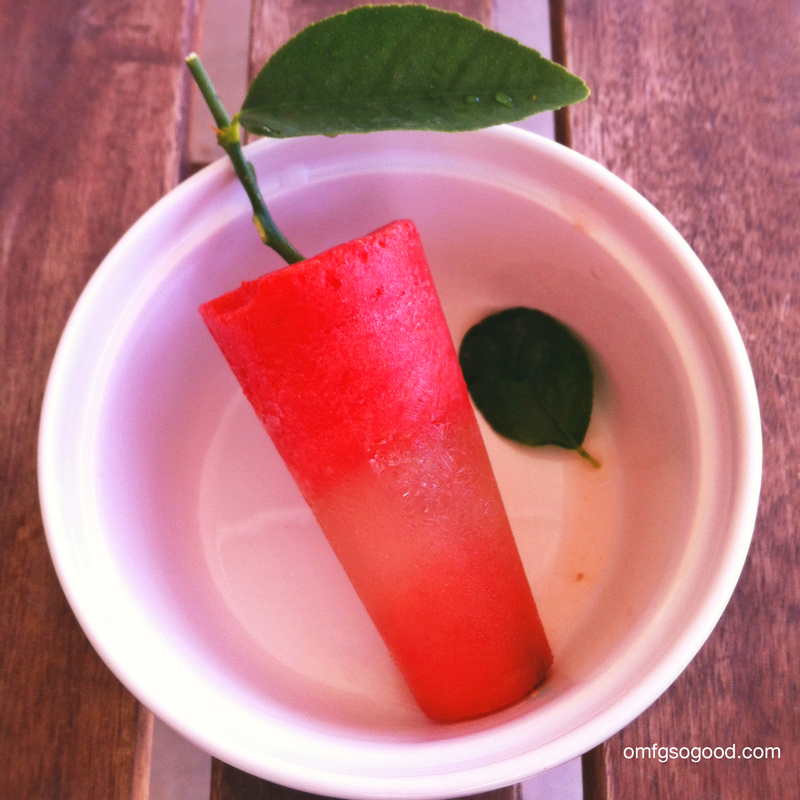 I love the way the watermelon puree separates from the tequila/lime juice blend creating visual layers, and also a textural difference once they’re frozen. Aren’t they so pretty? Pretty f’ing yummy. 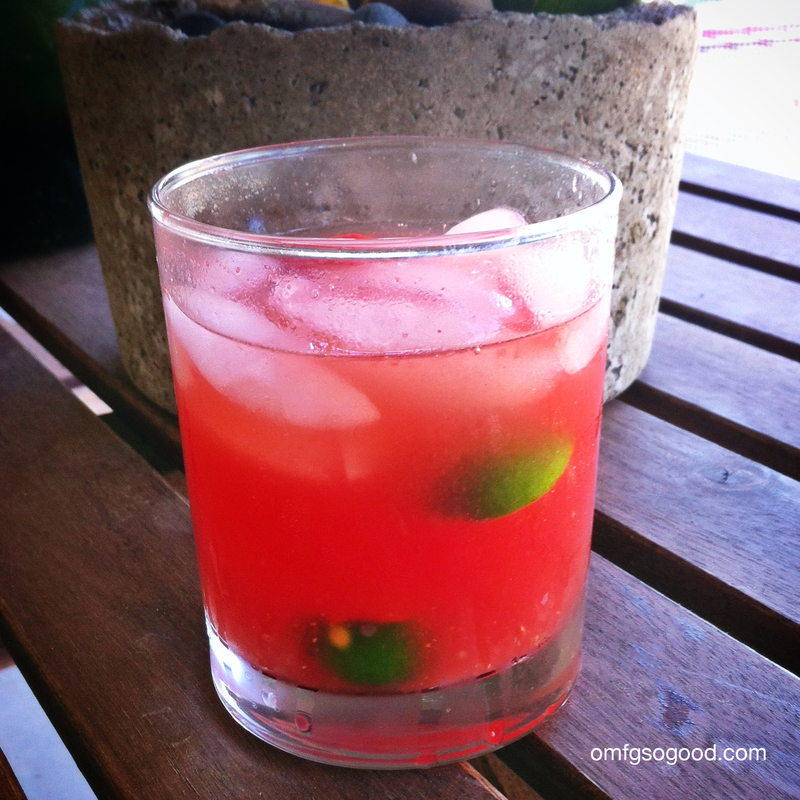 While waiting for the pops to freeze, pour the extra watermelon blend into a cocktail shaker with additional tequila (to your liking), shake and pour over ice into highball glasses. Drink. Definitely the best idea I’ve had all weekend.